Spain was in the tight grip of General Franco in 1954 when Morris first wrote this book and the picture she draws is relevant to today. She portrays a country on the edge of Europe, a grim place to exist in the strong grip of State and Church, but despite all this it is a place filled with generous people as is today’s Spain. She describes a land rich in coal and minerals but no oil, where industry is confined to three tight geographical regions – Madrid, Catalonia and the northern coastline of Cantábrica, Asturias and the País Basque. So Spain is an agricultural country, rich in the holy trinity of wine, wheat and olives, in which 60% of land has never been cultivated. The book has to be read always with the date of writing in mind, but still, this description will seem familiar to those who live here today. She devotes a chapter, ‘Soldiers,’ to war and describes navigating the country by its castles. Spanish castles are frontier fortresses, she says, ‘pushed southwards century by century as the Moors were expelled and the Spanish kings moved their capitals from front to front.’ Here in Andalucía, many of the white hill towns so beloved to coach parties are named for this reason – de la Frontera generally denotes a border town. Arcos de la Frontera, Jimena de la Frontera, Jerez de la Frontera, Vejer de la Frontera. There are many small towers and castles on hilltops alongside the major A-roads, still looking 360° for invaders. These watchtowers of battle are a constant daily reminder of Spain’s warring heritage. This entry was posted in Books about Spain and tagged Andalucia, book review, Sandra Danby, Spain, spanish history on May 30, 2013 by sandradan1. Thank-you! One (more) for the (ever growing) list of books to read! It’s amazing to think my first trip to Spain was in 1970 when I hitchikked from London to Lisbon via France and Spain. 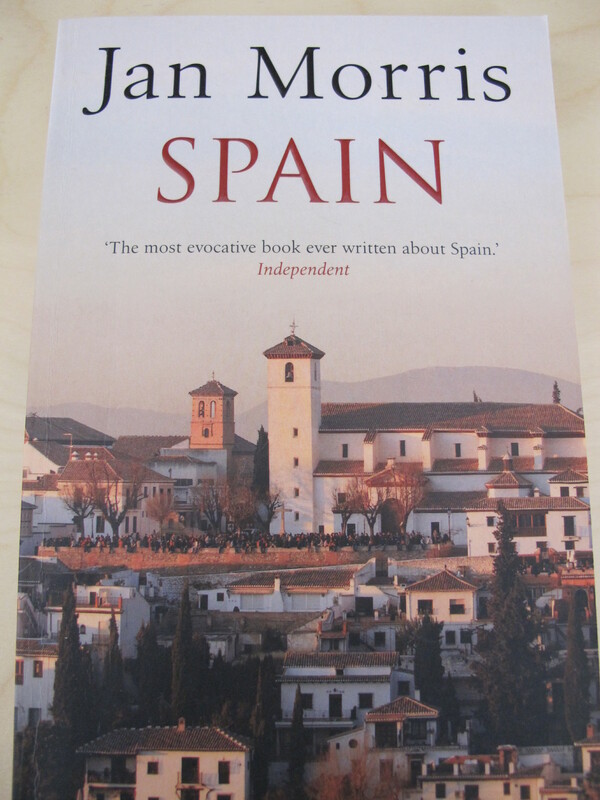 Though I haven’t read Jan Morris’s ‘Spain’, it’s even more amazing when a I realise the Spain I saw then – just sixteen years after her trip – was far closer to her Spain than the Spain of today. It’s 43 years ago, to the month, since I set off. Back in the Franco era you could wait for hours on the road without seeing a motor vehicle. But you could while away the time watching women doing the weekly laundry in the local river, using stones to get those more difficult stains out instead of Ariel, Like many other things, they used to carry it down on their heads. But it was Laurie Lee,who inspired me to make my trip after I read ‘As I Walked out one Midsummer Morning’. Lee set out on his journey in 1933. An account of my last hitch hike trip down the Costa de la Luz can be read here: http://bryanhemming.wordpress.com/on-the-road-again/ Thumbing lifts just ain’t the same when you get to my age.